All Seasons Catering Perth provides catering services for all types of occasion including weddings, corporate, office and boardroom events, fingerfood, parties, buffets, parties and BBQs. Let the All Seasons team of experienced caterers manage your catering function. All Seasons is one of leading catering companies Perth, with 22 years experience in all types of outdoor catering. Whatever your catering requirements, All Seasons Catering, one of foremost catering companies Perth, will be able to provide for them. 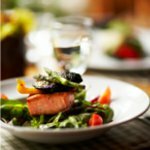 All Seasons Catering specialise in all types of outdoor catering service in Perth, all of its suburbs and Western Australia. Our experienced caterers will meet with you and plan your party for any number of guests and free you of the work and worry normally associated with entertaining in your home, office or other location. For wedding catering, our caterers will help to plan your event from start to finish. After years of experience as Perth wedding caterers we know just how important it is to get every detail right and we offer an unrivalled service, an exquisite selection of food and beverages and top-class service from our professional wedding catering staff team. For corporate catering, we will organise your event efficiently and with the degree of professionalism that corporate catering clients rightly demand. We have a wide selection of corporate catering solutions, ranging from breakfast catering to boardroom catering and major corporate catering events. 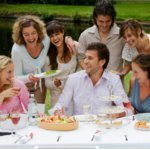 For cheap and budget party catering Perth, WA. We can offer you a wide selection of food and beverage options that can meet everyone’s budget and eating nd drinking preferences. We have 24 years of experience in catering for a wide range of events and venues and specialise in corporate catering, wedding catering and barbecue catering. Whether you are planning a small garden party for your office team at work or a wedding reception, All Seasons Catering can advise and support your planning with experience, skill, and a service level we are proud of. 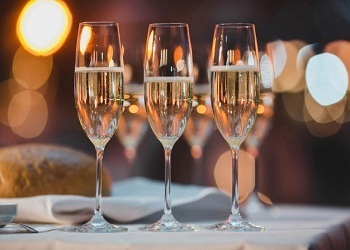 All Seasons Catering are passionate about maintaining the highest standards of food and service so you can be confident that your guests will be served the safest and finest food & drinks available. Our team of highly trained professional caterers is standing by to serve you and your guests. If you are looking for a specialist in all types of catering in Perth then please give us a call here at All Seasons Catering. From a large gathering of hundreds to a small family get together, we will work with you to build a menu and theme that will complement your entertainment plans. We are famous for our pizza and finger food catering in Perth as well as full blown buffets featuring meats, fish, and multiple choices of pasta, potato dishes and desserts. For larger events, like weddings, retirement parties, corporate events and Christmas parties we can provide a liquor license as well as fully trained bar staff and all the glassware, ice tubs and mixers. For corporate clients, we also provide working breakfast menus for conferences and working sessions off site as well as morning and afternoon teas as requested. 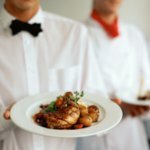 All Seasons Catering is proud of the services that our team of caterers has been providing to Perth and Western Australia for over 23 years. During that time we have catered to over 650 weddings as well as government sponsored events. We sponsor and support charitable causes within our community including a donation of 1% of our turnover to the Breast Cancer Foundation of Western Australia. We are confident that you will be pleased with our services as well as our food. For corporate events or off site training programs please contact the professionals at All Seasons Catering to take care of your catering requirements. Whether your company is doing a product launch or an offsite strategy and planning session, the last thing you want to be distracted with is the catering service. Our professional caterers take pride in their ability to come in and understand your requirements while building a menu and delivery plan that covers every facet of the event. We offer premium function catering in Perth and Western Australia for those companies and individuals who want to project professionalism and capability in every part of their public persona. At All Seasons Catering, all of our staff are well trained not only in food and drink serving, but also in customer service and relating to the public. We are proud of our staff and our services and invite you to try us for your next corporate event. Whatever your party or event is, we can provide you with a wide range of catering menus that are suitable to whatever your venue. All Seasons Catering believes that the menu and the way in which the menu is presented to the guests are extremely important. Before any catering event that we are hired for, we will sit down with our client and go over the details in an attempt to understand what type of event or activity is taking place and make recommendations regarding the menu and the presentation of our services. We offer a wide range of catering menus such as carvery buffets, holiday themed buffets, working breakfasts, morning and afternoon teas as well as finger foods with drinks. For funeral catering in Perth we offer a more traditional selection of cold cuts, salads and beverages. Often, a potential customer will come to us without a clear idea of what they need for a specific event. We have the experience to interview the client and with a few well chosen questions and inquiries we will be able to design a meal selection that not only suits the client, but guests as well. Let us put our years of experience to work on your next event. Once you've hired a wedding catering company, the next thing to do is... read more..
A wedding is one of the few occasions where nothing but only the best... read more..